With low margins and high consequences, the Refining and Petrochem industries rely on Fitness For Service (FFS) assessments to keep equipment and units online. 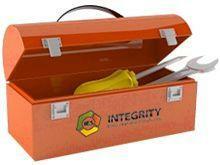 Integrity Engineering Solutions is experienced in all aspects of FFS. Please see further details in the Fitness-For-Service section of this website. The issue of pressure boundary bolted flanged joint (BFJ) leakage has been significant for both of these industries and as unit pressures and temperatures continue to increase, it will likely continue to be an issue. Integrity Engineering Solutions has pioneered BFJ integrity methods and can offer a wide range of services to improve BFJ integrity, as outlined in the Bolted Flanged Joint section of this website. Integrity Engineering Solutions also offers other complementary services which are relevant to the full life cycle of refining and petrochem plants, including; Advanced Analysis, Failure Analysis, Fabrication Support, Maintenance Support, Technical Management and R&D.